The part referenced in the diagram as "motor" is referenced elsewhere as "field assembly" and there is an armature assembly that goes inside of it. Unfortunately, there don't appear to be any clearer diagrams than the one below. Desired Outcome: To be able to spin at 5000 RPM in the opposite direction so I can power a separate shaft (jointer cutter head) connected via a belt/pulley in a 1:2 ratio for a total output of 10,000 RPM. I would like the opinion of someone more skilled and knowledgable than myself on if it is possible and safe to reverse this motor. Some of the other answers I have found eluded to the motor not being safe to run or running at significantly reduced power. Alternatively, if there are some tests that I could run to evaluate these for myself, any information on what tests and how to conduct them would be much appreciated. I like doing things without asking questions, but I also want to be safe when trying to rotate metal blades at around 10,000 RPM. Any insight and resources would be much appreciated! The link that you provide and the comment by John D say what must be done. The armature and field connections must be reversed with respect to each other. In the diagram, you disconnect the black lead and the red lead from the two brushes and reconnect each to the opposite brush. 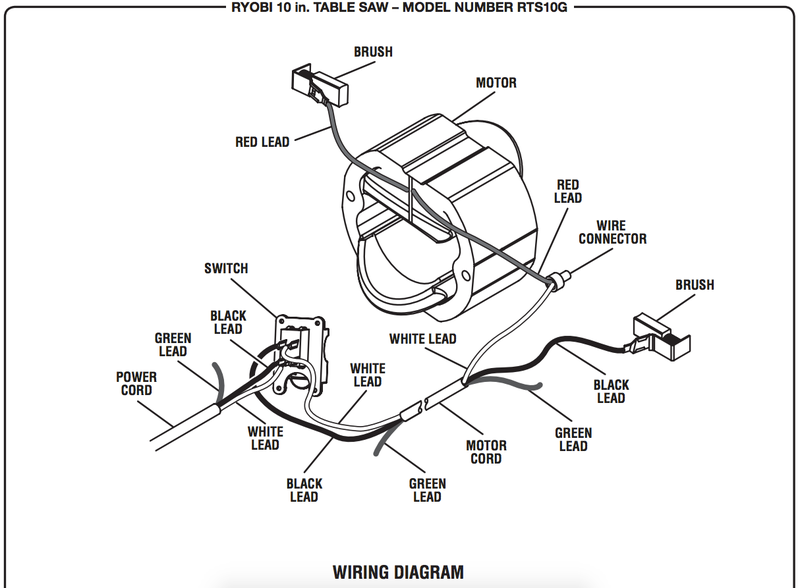 The two red wires going to the field assembly are two wires, not one continuous wire. One end of the field winding is connected to each red wire. Here is a marked version of the diagram. You could swap the field connections instead of the brush connections if that is easier. If there is a nut holding the blade onto the motor shaft, reversing the motor will tend to cause the nut to loosen when the motor is operated in reverse. Not the answer you're looking for? 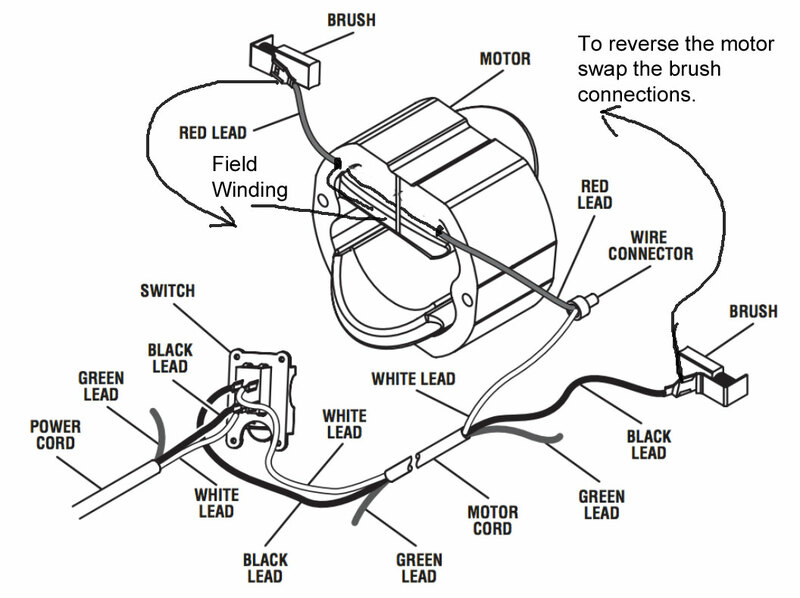 Browse other questions tagged motor ac wiring reverse or ask your own question. What's the theory behind speed control of a multi-tap multi-pole induction motor? Reversing the Direction of An Induction Motor?